Get inspired with this handmade baby girl card by our DT Member Heidi with a super cute image, fun shapes and a feminine baby pink theme! Hi! 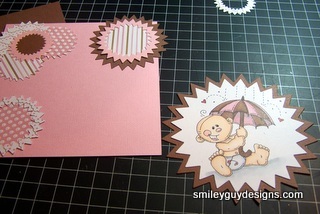 I’m Heidi and on this page I’m going to show you how to make a fun baby girl card! I hope you’ll enjoy the whole crafting process and of course, feel free to substitute materials with whatever you have on hand. Fold brown cardstock into a 6x6 square top fold card. Cut pink cardstock 5 ¾ x 5 ¾. Print digital image on white paper and using one of the larger nesting pinking die cuts, cut the image out along with a brown mat in a larger size die. 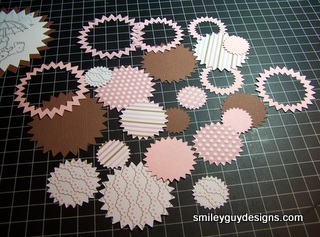 Die cut various sizes of pinking circles using the patterned and cardstock papers. 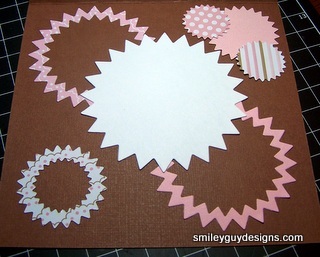 Using the circles previously cut, begin placing them around the pink piece in any pattern you like. Hang some of the circles off the edge and trim. 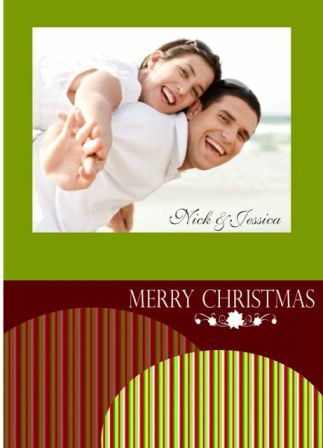 Add the digital image focus piece and then add the entire piece to the card base. 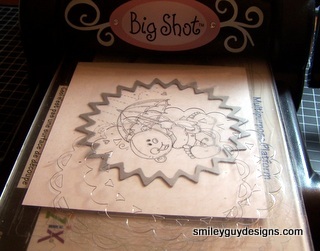 For inside of card, adhere leftover circles. And you're done! Wasn't that fun and easy? :) I hope you had fun making this baby girl card with me. So here's our new baby card once again..
Be sure to check out other cards for new baby that the Design Team has created and hope you drop by again soon!